First thing to consider when looking for the best bitcoin exchange is how safe it is. This boils down to asking: is it a trustworthy exchange providing transparent data of coins in cold storage (more on this later) and are customers happy? It’s also good to lookout for which currency pairs are available: are you looking to trade bitcoin for USD, ユーロ, or other fiat currencies. The location usually gives an idea of what’s on offer. しかしながら, the largest bitcoin sites usually have many options for buying bitcoin with government issued currency and altcoins. The sheer complexity of researching where to trade bitcoin led me to make this blog. Although you should always do your own research before investing, I hope this helps. Below is the table of the best exchanges to buy bitcoin online. If you are new to cryptocurrency exchanges then lookout for the ‘beginner-friendy’ column. Secure exchanges that are trustworthy and have good user ratings will rank higher than their peers. Extra points are given for sites to buy bitcoin with paypal, as many users request this feature. Ranking preference is also given for sites to buy bitcoin with credit card. Check out each option on the following best bitcoin exchange list. Be sure to bookmark this page for future reference. There are now many bitcoin exchanges you can choose from, and more flexibility in terms of payment options. Here are the best exchanges you can use to buy and sell bitcoins and other cryptocurrencies. The most convenient way to trade Bitcoins with the same day funding & withdrawal. When it comes to Volume, QuadrigaCX is the fastest growing Bitcoin Exchange in Canada, and one of the fastest growing exchanges in the world. Our rapidly increasing volume makes it easy to buy or sell Bitcoins at the best rate. One of the most reputable bitcoin exchanges available, Coinbase is popular among fans of the ‘dollar cost averaging’ method, where users can automate bitcoin purchase every week or month. It is a no-fuss platform for just bitcoin buying and selling. 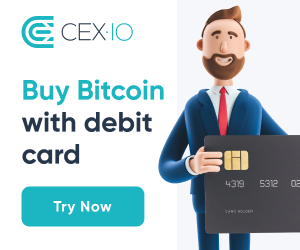 CEX.io is one of the oldest Bitcoin exchanges around. It started out in 2013 in London as a Bitcoin exchange and cloud mining provider. At some point its mining pool, known as Ghash.io, was so big it held 42% of the total network mining power. A trading-focused bitcoin service provider, Kraken appeals to bitcoin traders as you can leverage and even short on the platform. They are very reputable and was one of the first bitcoin exchanges to pass an independent audit. 著作権© 2017 bitcoinguides.net - 全著作権所有.